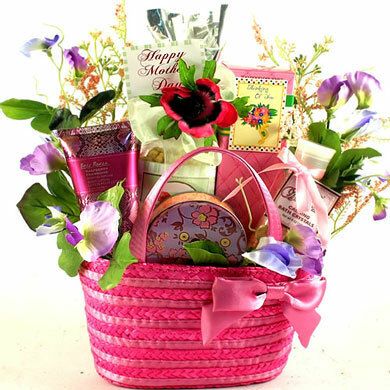 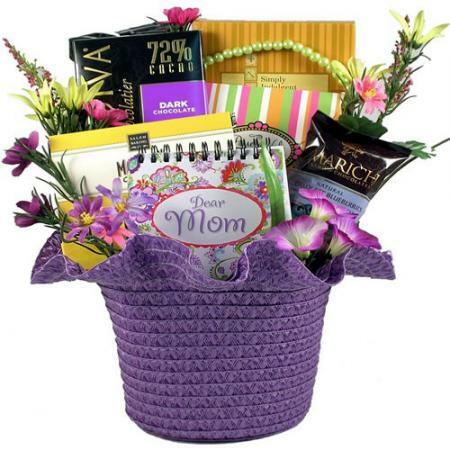 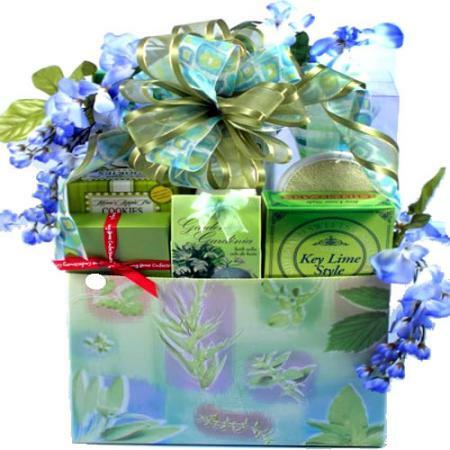 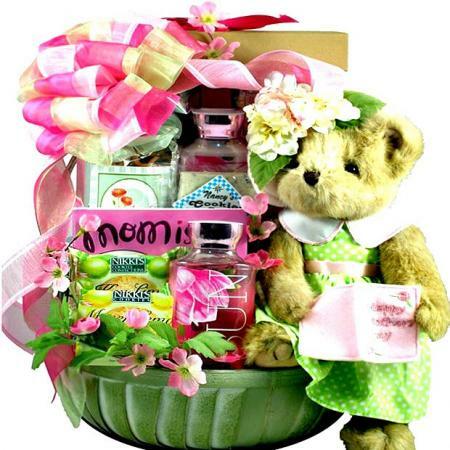 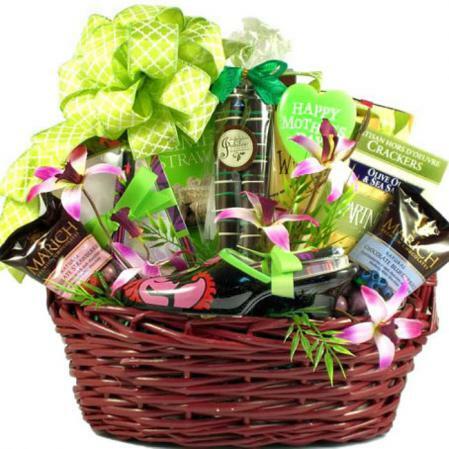 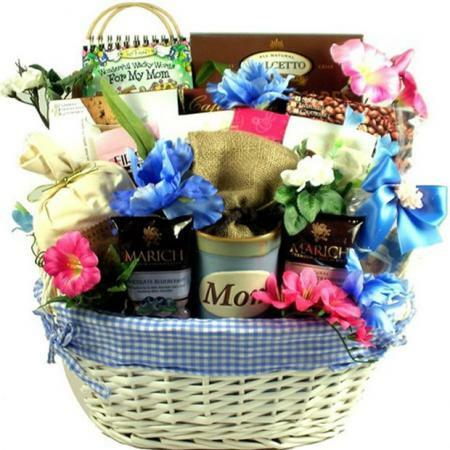 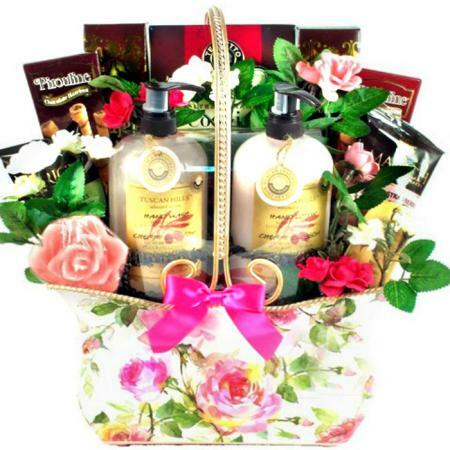 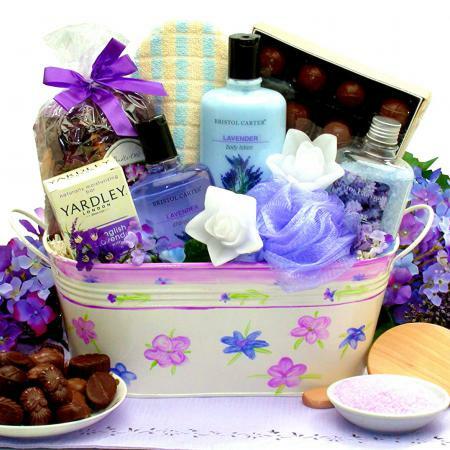 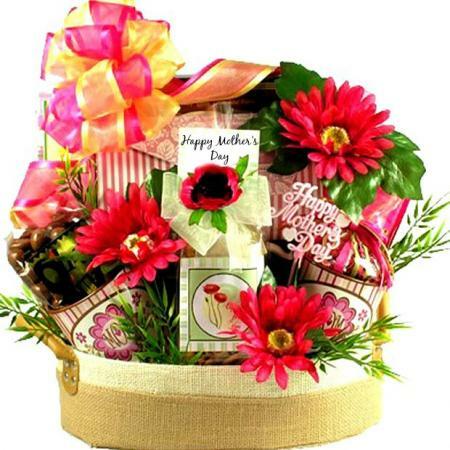 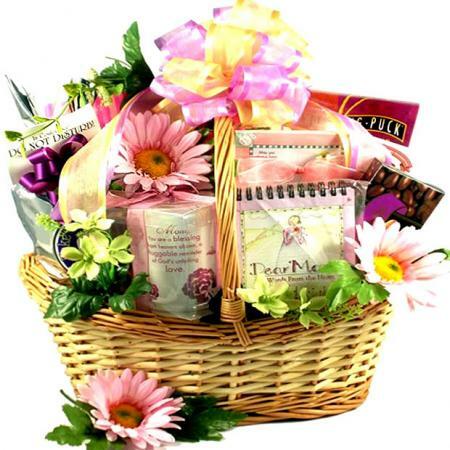 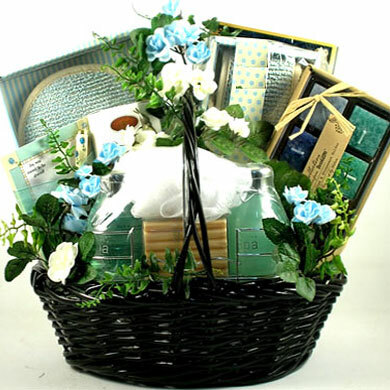 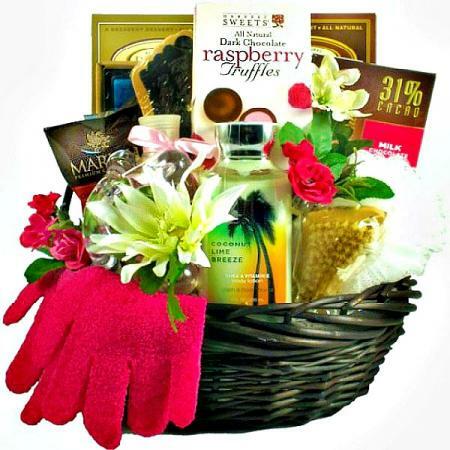 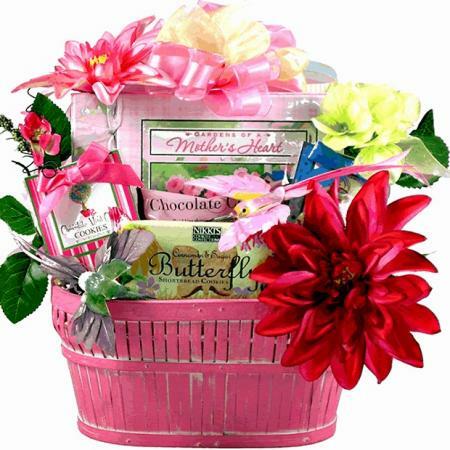 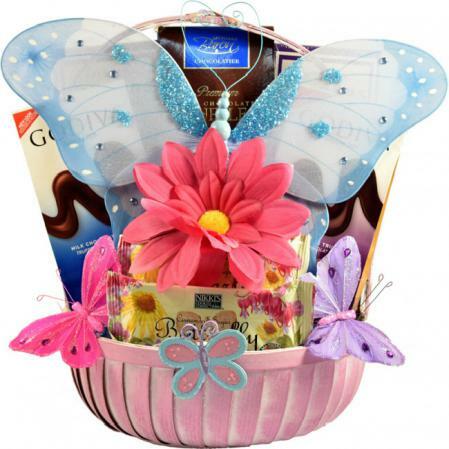 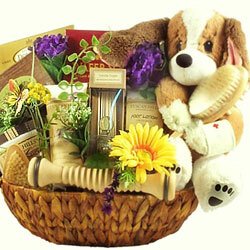 This charming Mother's Day basket will put the "Happy" in Mother's Day! 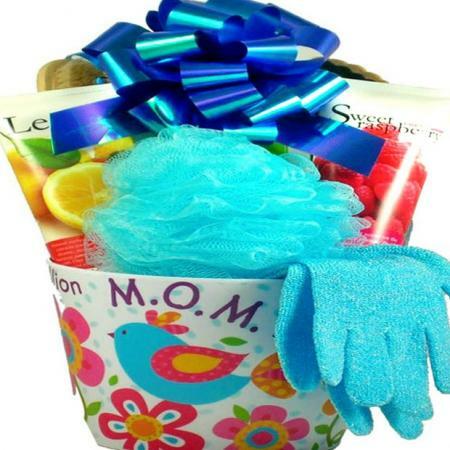 From decadent sweets to indulgent spa products, this gift for mom has it all. 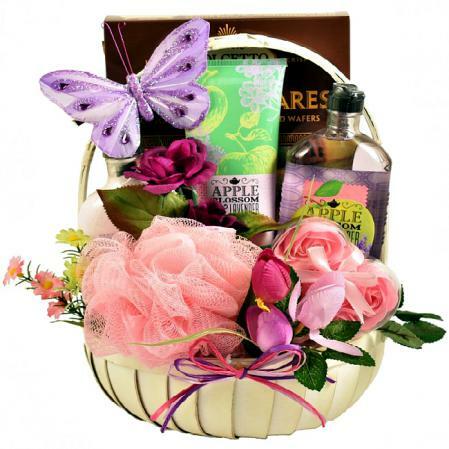 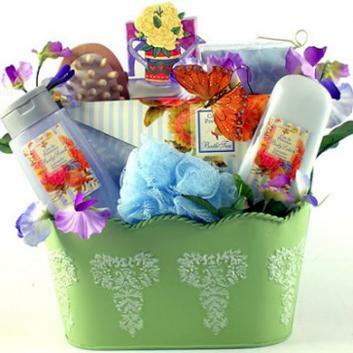 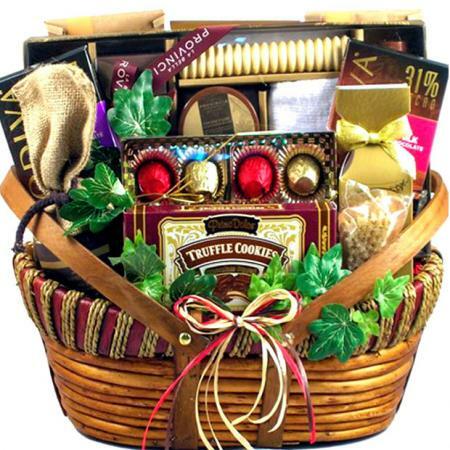 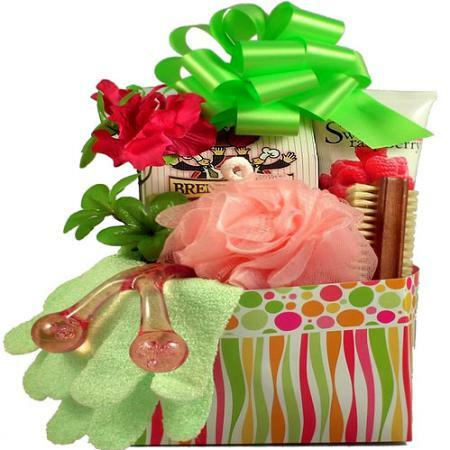 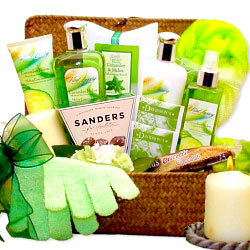 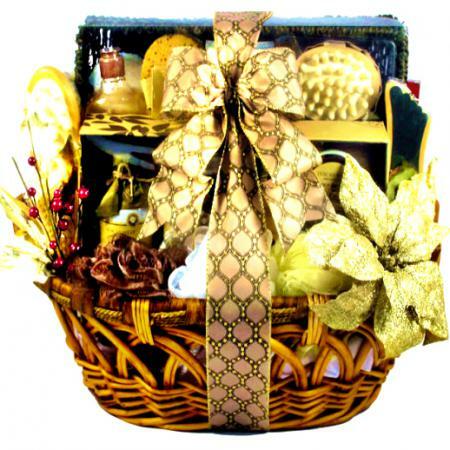 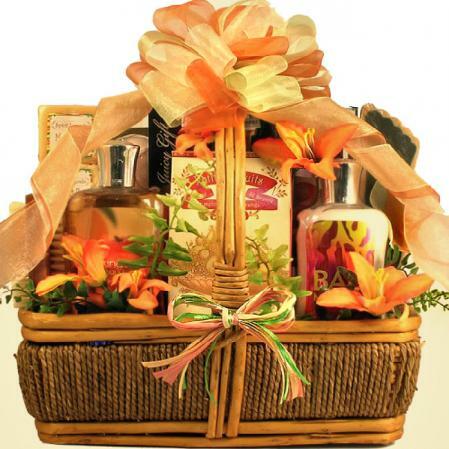 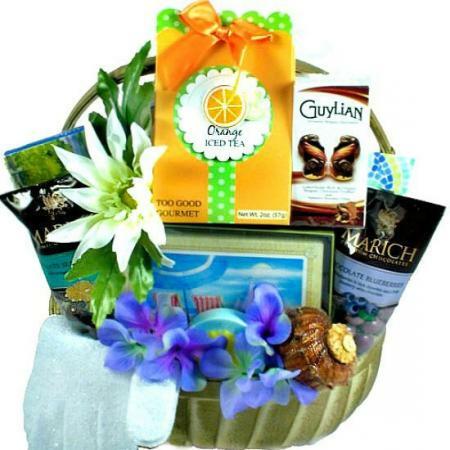 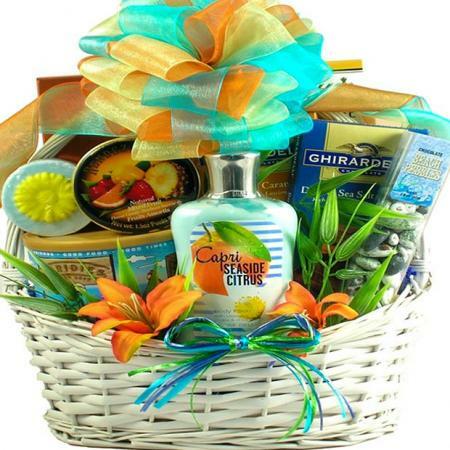 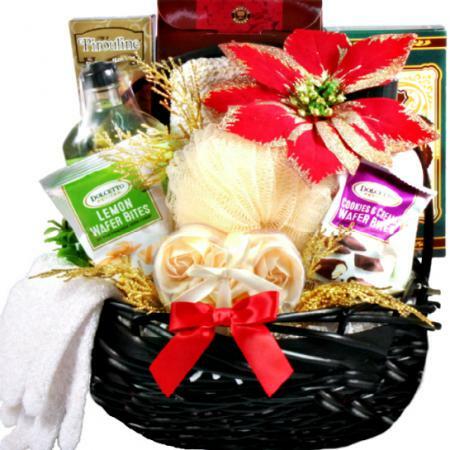 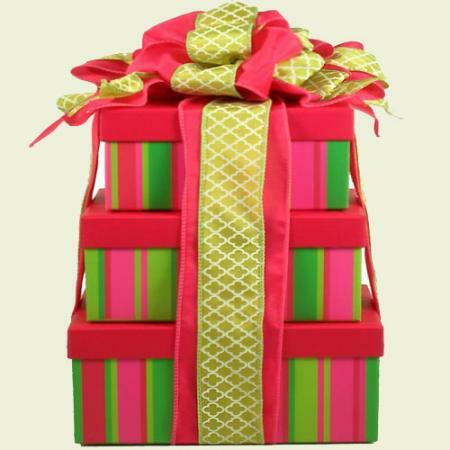 This pretty gift basket is as cheerful as it is full of great gifts! 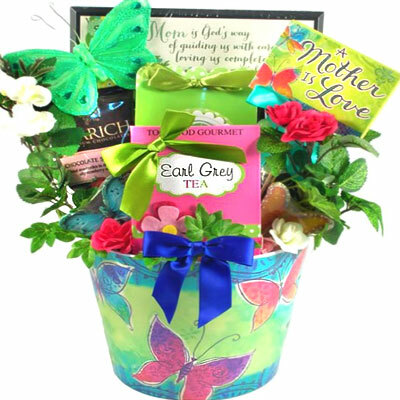 Perfect for Mom's birthday, Mother's Day or any day you wish to show Mom how much you care. 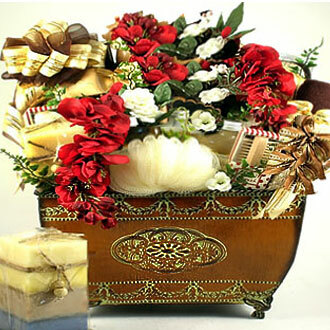 This special gift features a beautiful tin planter basket with rose details that she will love and lots of decorative enchantments. 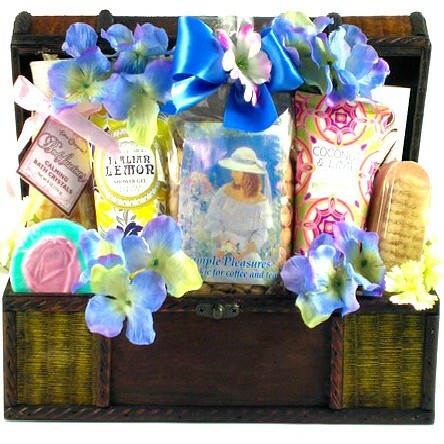 She will be impressed with the attention to detail! 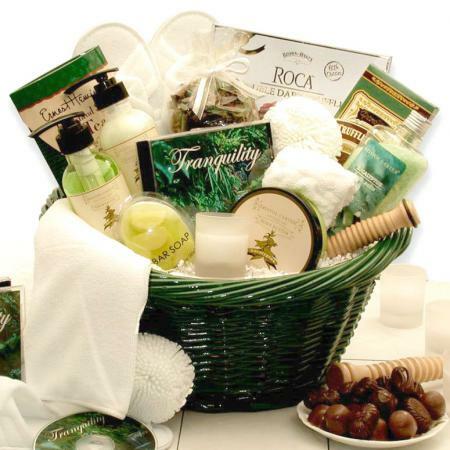 Let the pampering begin. 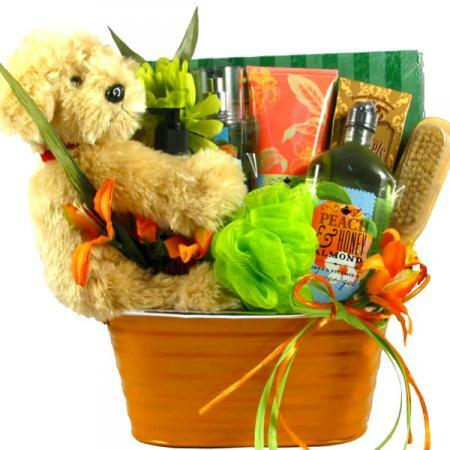 Plush Angel Bear - "Mother's are angels in disguise"